Here's the second DIY for March! 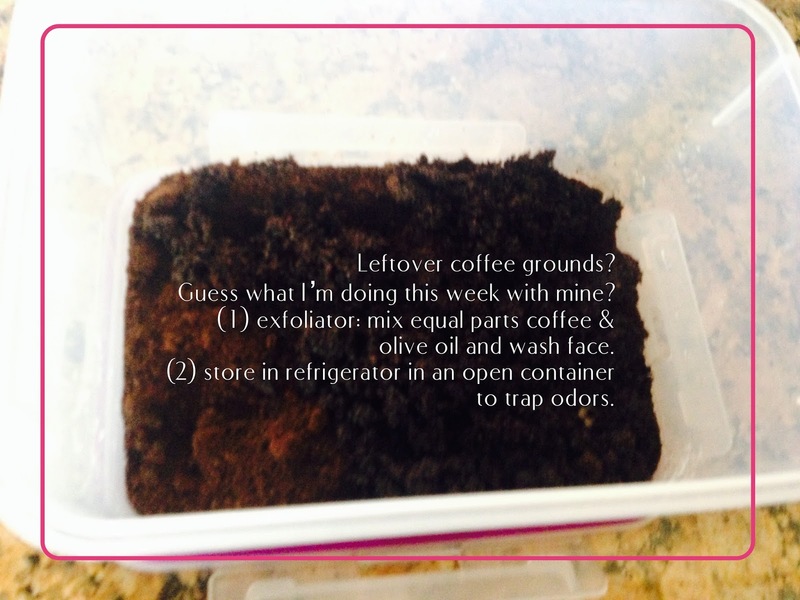 I'm starting to save my coffee grounds after brewing. And here's why: I read recently about using brewed coffee grounds for various household purposes. What?!? Never. Even. Thought. About. It. So beyond using them to help your wood furniture, and as fertilizer in the garden, here's how I'm using it specifically this week. Go ahead, google it!